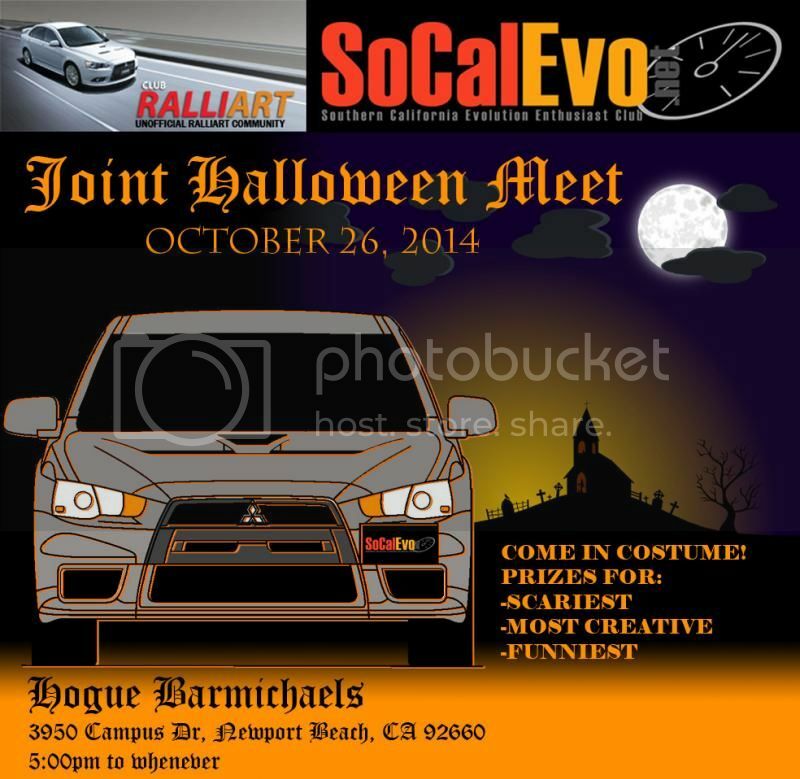 I just want to announce this upcoming joint Halloween meet between SoCalEvo.net and ClubRalliart. This will be a kid and family-friendly meet, and we encourage participants to bring some candy to share with the kids. We will also have a costume contest. There will be more details to follow, especially regarding vendors. Please mark your calendars and try to come! come on guys. 1200 views and no replies? lightsticks will be given away to the first 30 kids/cars and candy for trick-or-treat'ers. As long as my RA is working, I will definately be making it out for this, even though i think the last time i went to hogue barmichaels was like 15-20 years ago for an Offspring concert, which was empty.. Otherwise ill just have to drive my reg lancer.. Not as fancy, no real mods as its my new DD, but it kinda looks like a ralliart..